The previous board in this location said “‘yes’ to a better future” beneath a tiger, a rainbow, and a DJ at his turntables (see an image at CCDL). 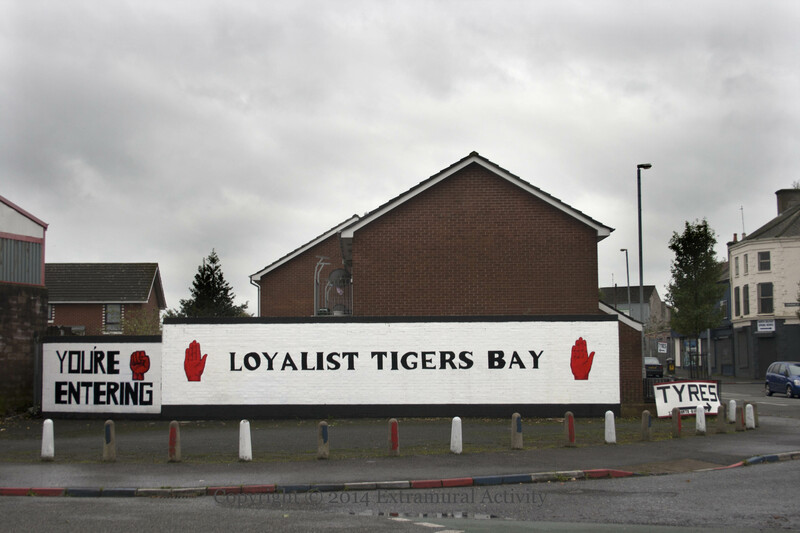 That future, it seems, it to go back to a mural similar to the one prior to 2009 – You’re entering Loyalist Tigers Bay – though the explicit UDA/UFF insignia are gone, leaving only the clenched fist. Previous Article Look Behind You!